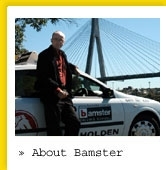 Bamster would like to work with other Driving Instructors or people hoping to be Driving Instructors. We are more than happy to talk with anyone who thinks there is an angle for themselves. But as we are based in Sydney’s Inner West, we suspect you will be planning to work in the Inner West or adjacent areas. » Current Driving Instructor Authority, or prepared to obtain one. » Operate a private company (Pty. 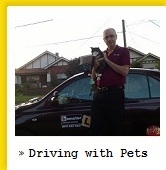 Ltd.) as the “vehicle” for your driving instruction business. 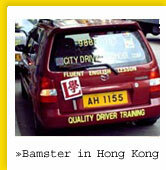 » Operate a recent model small/medium vehicle that you will be happy to put Bamster badging on. » Own a computer and mobile phone (with hands free) and comfortable using SMS, email, web pages, etc. » Comfortable with the Bamster ethos, as exemplified by this web site. » At least 10 years regular driving in city/town environments. » "Experienced enough to know you have something to offer, humble enough to know that there is always more to learn"
We are more than happy to assist you in any aspect we can. We are wanting to build a long term relationship. "If you get fined every 5 years, you can afford it. If you get fined every year, you deserve it"